We are so enthralled with these beautiful images by Linda Foard Roberts, Weddington, NC photographer. Roberts’ work can be found in numerous museum collections including The North Carolina Museum, The New Orleans Museum of Art, The Ogden Museum of Southern Art, The San Diego Museum of Photographic Arts, and The Mint Museum of Art. She is also featured in several corporate collections including Bank of America, the Harry Ransom Center, the Bechtler Collection, The Ritz-Carlton, Duke Energy, Fidelity Investments, Gregg Museum of Art and Design, Haarmann & Reimer, Germany, King & Spalding, and many private collections. Enjoy this preview here and then head to SOCO Gallery to see her work in Kindred, opening this Wednesday, February 3rd. LFR: Happy, Hardworking, and Lucky. LFR: I am literally inspired by everything around me, since my work is about finding meaning and understanding in everyday life. I have found that I have to have a visceral response to whatever it is that I am photographing to create a photograph with meaning, but it can be as simple as the way the light is falling on an object. Early on, Sebastian Salgado inspired me for being able to tell a story through his powerful images, Joseph Cornell for his symbolic use of the ordinary, and Ralph Eugene Meatyard, Harry Callahan, Emmet Gowin and Sally Mann for making personal work, universal. I am also moved by poetry such as Emily Dickinson and Billy Collins, so I am just as inspired by symbolism in poetry as I am by visual works. LFR: When I was really young, my mother thought I was going to be a writer because my stories were poetic with an underlying message. When I was about 10, I had two closets, one for my clothes and one for my sketchbooks. My clothes closet was barren and my art closet was packed with sketchbooks and art supplies. In High School, I took a photography class taught by the great teacher and photographer, Byron Baldwin. It was in Byron’s class where I learned to see, and to understand self-expression through photography. I was hooked. LFR: I am currently taking photographs to complete the last chapter for a monograph of my work, which will be a compilation of the last 10 years, 5 different series, that center around family, the passing of time, landscapes, and still lifes. In this final chapter, the photographs are like vignettes, gathered memories of my children, parents and surroundings where my family lives. David Chickey of Radius books will be designing and publishing the book and he hopes to have it published by Paris Photo in October. Although the book is a personal journey through my life, it is also universal in that we all experience many of the same experiences; love, loss and meaning. I use 5” x 7” and 8” x 10 cameras for most of my work and prefer the imperfections of old lenses. It takes me a little longer to take a photograph, but I like the meditative aspect this process. LFR: The McColl Center is truly wonderful in that you can see the artists at work, which is a very valuable part of the creative process. The Light Factory is another place where you can actually feel and see the passion for the photographic arts. It is a creative hive of energy with great exhibitions, lectures, classes and workshops. Penland School of Crafts, just a short drive away, is another remarkable place known for its energy, and enthusiasm for crafts. LFR: I have ten books, piled on my nightstand. I can’t always get to them, but the intention is there. I just finished reading To Kill a Mockingbird, and the books on the top of the stack are, Leaves of Grass, Walt Whitman, and The Selected Poems of Emily Dickinson, with an introduction by Billy Collins. LFR: My favorite meal out is the bruschetta at Dean and Deluca with a great glass of red wine and accompanied by my supportive husband. 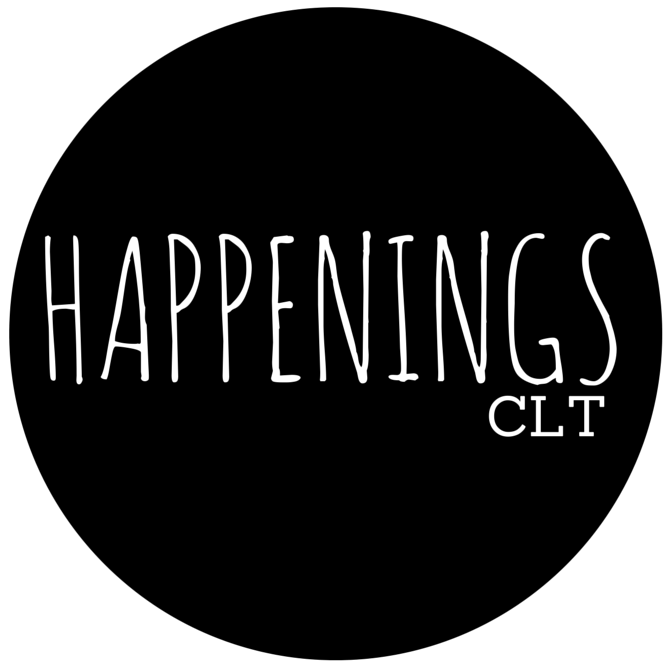 HCLT: What is your number one art piece/place/event in NC? LFR: I can’t just name one, sorry. Last year I saw Martha Graham Dance Company perform and was very inspired by the symbolism and emotion that can be conveyed through dance. I also love Niki de Saint Phalle’s Firebird at the Bechtler Museum, and Jean Tinguely’s 40 foot sculpture in the lobby of the Carillon. I also love the new building at the North Carolina Museum of Art. The piece there that moves/haunts me is Tar Baby vs St. Sebastian by Michael Richards. The sculpture is a self portrait with planes flying into his body. The artist’s studio was on the 92nd floor of the World Trade Center I, where he perished on 9/11.